Dogs are prone to skin allergies and yeast infections, particularly when they get older or fall sick. If the health of their skin is compromised, it’s easier for yeast and bacteria to grow on it, causing itchiness and bad odours. When your pet scratches these itchy spots, they get hot, inflamed or swollen due to increased blood flow, making the problem even worse. Skin problems are particularly common among many popular breeds and knowing about these can help you prevent or manage them before they become serious. Which Breeds Are at Risk of Skin and Yeast Infections? Spaniels – Their long, floppy ears and heavy jowls put spaniels at risk of numerous skin problems. They are especially prone to infections in the folds of their lower lip and their ears, which provide the ideal environment for the growth of bacteria and yeast. Cocker Spaniels – Cocker Spaniels are prone to eye problems and ear infections as well as a higher risk of seborrhea. This genetic condition leads to the chronic growth of a waxy substance on the ears, and may also cause greasy, scaly or smelly skin. Boxers – These compact, muscular and athletic dogs often face a wide range of serious health concerns, including cancer, hip dysplasia, arthritis, knee and heart-related problems, thyroid issues etc. They’re also susceptible to skin allergies and infections. Standard Poodles – Poodles are prone to developing granulomatous sebaceous adenitis, an inherited skin condition that affects the oil glands. In addition to making them more prone to secondary skin infections, this condition can also cause hair loss. Chinese Shar-Peis – With short-haired dogs like Shar-Peis and bulldogs, skin irritation is a common problem. Folds in their skin cause short hairs on one side to poke against the other side when the dog moves, causing irritation and making allergies or skin infections worse. Young English bulldogs are also prone to skin tumours called histiocytomas. American Bulldogs – Along with irritation caused by skin folds and short hair, this breed tends to have food and environmental allergies that affect the health of their skin. They may also inherit canine ichthyosiform dermatoses, a condition that causes skin along the armpits, groin and belly to become red and scaly. Basset Hounds – Large sad eyes and droopy ears make these dogs look adorable, and they love sniffing everything they can reach. Coupled with their short legs and droopy skin, this raises the risk of picking up infection-causing bacteria, viruses and parasites, or even inhaling them. Doberman Pinschers – These dogs often have low thyroid function or hyperthyroidism, which affects their skin health. Hyperthyroidism can lead to alopecia or hair loss, especially along the flanks, while low thyroid function may cause a dry or flaky coat. Both issues can lead to secondary skin infections as well. Labrador Retrievers – Labradors are generally robust and healthy as long as they get a good diet and plenty of exercise. However, they can face allergies due to dietary, genetic and environmental factors, causing skin problems such as itchiness, hot spots, etc. Pit Bull Terriers – A weak immune system makes pit bulls more prone to infections, as well as issues caused by tiny demodex mites that reside in hair follicles. 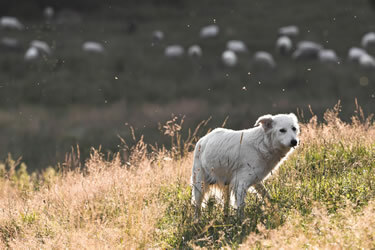 In dogs with low immunity, demodectic outbreaks can cause secondary skin infections or itchiness. In addition to the breeds listed above, dogs with hormonal imbalances, excessive earwax, weak immunity and food, environmental or genetic allergies also face a higher risk of skin and yeast infections. Certain medications such as antibiotics, or warm and humid living environments can also pose a threat. How Does Copper Help with Treating Skin Problems? Incredible antimicrobial powers, which kill a huge variety of bacteria, fungi and viruses through contact. Historically, copper has also been used to fight fleas, mites and other parasites that affect household pets. Eliminating bad odours from your pet’s fur, skin and bedding. These unwanted odours are usually caused by sweat, bacteria and fungi, and copper effectively fights this nasty mixture in a safe and chemical-free manner. Boosting blood flow, circulation and regulation of body temperature. Copper helps keep your dog warm and comfortable, and can even provide relief from arthritis, joint pain and other mobility issues in older canines. Owning a dog is a huge responsibility, since they need as much love, care and attention as a young child. 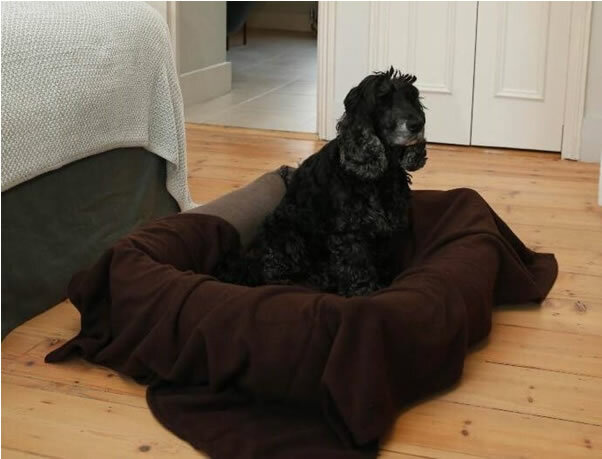 Copper pet beds are a great way to help your furry friends stay healthier and happier, so switch to them today! Kunal is a young and passionate entrepreneur, fascinated by the workings of the human body and natural solutions for common health problems. He’s single-minded in his aim to make Copper Clothing a brand that’s recognised across the globe, by partnering with global brands to make these high-tech materials easily accessible for everyone. The prospect of adopting your first dog is incredibly exciting. Regardless of if you’re considering taking home an older dog, or a puppy, you’re in for an adventure. If you treat a dog well, they will be with you through thick and thin no matter what. With a new dog, there is a lot to be excited about! But there’s also a lot you need to know sooner rather than later. First off, thank you for doing research before simply diving into dog ownership. Many people skip this part and end up becoming overwhelmed, irresponsible pet parents. Owning a dog is a long-term commitment that comes with more responsibility than most people realize. This little animal now depends on you to be the sole provider of care, nutrition, entertainment, and love for the rest of its life. Although there’s a lot of work that goes into your potential new role as a pet parent, the advantages will far outweigh any possible drawbacks. Here are a few basics you need to know about dog ownership. Not all dog food is created equal, and not all dogs are grazers. In fact, many of them are gluttons. They will eat everything you give them. Many people make the easy mistake of not paying attention to how much you’re feeding your dog or just eyeballing what you feel looks right. This can lead to overfeeding or underfeeding your dog. To guarantee that you’re feeding your pet the proper quantity each day, do a little bit of research online. You can look at things like the type of food you’re giving your dog, how old they are, how much they currently weigh, and what a healthy weight range should be. This way, you’ll be able to accurately gauge where your dog falls in terms of weight standards and feed accordingly. Although it might be tempting to get a bit lax in your potty training schedule as your new pet dog gets familiarized with your house, it is necessary that you put together a potty training regime and stick to it– particularly in the developmental phases of your dog’s relationship with you and your home. If you have not potty trained a pet previously, you’ll want to do some research into this as well. There are plenty of techniques for making the process easier. You can also learn what warning signs to look for to indicate your dog may have to go outside. If you tackle this challenge sooner rather than later, you’ll save yourself on cleaning and headaches in the future. Unless you have a hairless dog, you can expect to have a new chore on your hands, regular vacuuming sessions to help control pet hair. With some breeds, you may even need to buy a certain vacuum that doesn’t clog or get tangled as easily with large amounts of thick fur/hair. If you let your pet go on the couch, make sure you have a vacuum with upholstery attachments to help keep your couches clean. It is also a good idea to start your dog on a regular grooming schedule to stay ahead. If you have a heavy shedder on your hands, daily brushing can help cut down on the amount of fur that ends up around your home. Most dogs need to be bathed at a minimum, once every three months. However, many pet owners choose to wash their dogs as often as every other week, as long as a gentle shampoo is used. Socializing your dog early on will pay off significantly in the long run. 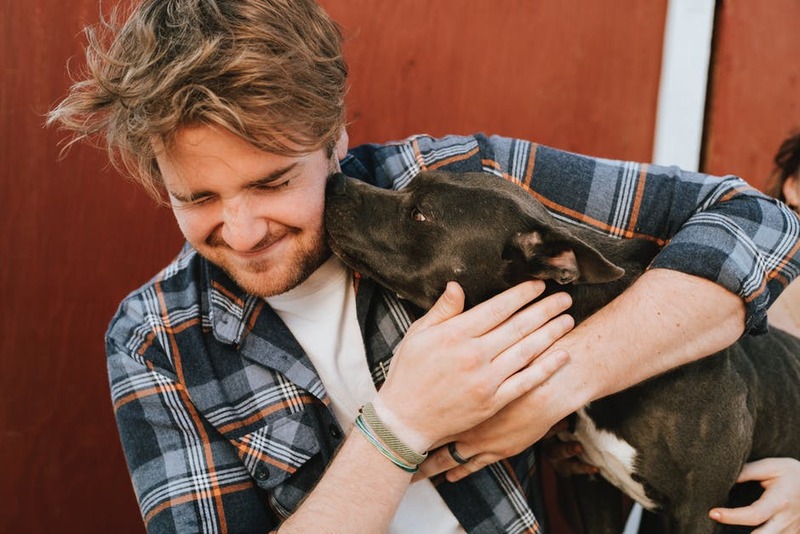 By introducing your dog to new individuals and animals now, you substantially increase their ability to have healthy interactions with other people and dogs later. Many pet owners choose to jump right into socializing their dog right away. However, professionals suggest developing a socializing strategy to make the procedure safer and more effective. Dogs that are not properly socialized can be defensive and aggressive. A properly socialized dog is a happy dog. There are few things more enjoyable than watching your dog run around having a great time. Although it’s okay to let your pet run around a leashless dog park or in your back yard, complying with the leash laws where they are in place is very important when it comes to keeping you, your dog, and others safe. It is a good rule of thumb to keep your dog on a leash by default unless you know the area allows dogs to run free. Even if you have a well-trained angel of a dog, you never know when they might see a squirrel and go sprinting across the street. Some things are out of your control, and keeping your dog on a leash can help prevent a slew of issues. Now that you’ve got the basic guidelines down, you’re ready to start the search for your perfect new canine companion. Remember, adopting a dog is not a short-term endeavor. A good pet owner (under most circumstances) should be ready to commit to a dog for the rest of it’s life. Many of us are familiar with arthritis, especially those of us who are getting older. Arthritis is an all-too-common problem for humans, but what about when it comes to our furry friends? As it turns out, as many as one in five dogs have arthritis within the course of their lifetime. Luckily, most dogs who are diagnosed with arthritis are still able to live a healthy and active lifestyle–they just need us to lend a helping hand. The signs of arthritis can be hard to spot, even if you’re familiar with your dog’s unique mannerisms. It may be something as subtle as joint stiffness in the morning. If allowed to progress, however, you’ll eventually notice your pup having trouble sitting, laying down, and walking around. Some dogs may even become depressed and change their eating habits. The only way to know for sure if your pet is experiencing arthritis is by booking an appointment with your vet. By looking at blood tests, X-rays, physical exams, and medical history, your vet should be able to determine the cause of your dog’s joint pain. If it is arthritis, you should also be able to find out whether it’s osteoarthritis, septic arthritis, or immune-mediated polyarthritis. Arthritis can make it difficult for your dog to get around the house. They won’t be able to climb stairs as easily or jump up onto their favorite piece of furniture. Of course, there are plenty of ways that you can modify your home and make things a little bit easier for your pooch. Keep food and water at a comfortable height instead of on the floor. Build ramps upstairs and to climb on communal furniture. Put no-slip paint or runners on slippery surfaces such as tile and hardwood. Provide your dog with a heating pad or hot water bottle in bed to help ease discomfort. Use a sling to help your pup climb stairs, enter the car, or get into a carrier. After a diagnosis is made, your vet can recommend treatment options that may help your pet. Steroids and anti-inflammatory drugs help to decrease swelling and discomfort around the joints, while dietary supplements strengthen bone and muscle. There are also surgical options that reconstruct damaged joints. If your furry friend has been diagnosed with arthritis, don’t worry. 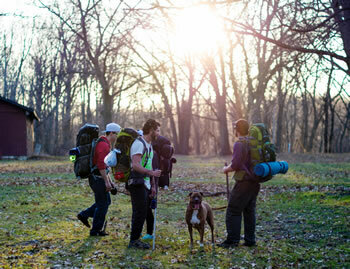 With your help, your pet can continue to lead an active and fulfilling lifestyle. There are modifications you can make to your home and medical treatments that you can try to give your best friend a better quality of living. Most dogs love going for car rides. With their head out the window, ears blowing in the wind, dogs are the picture of bliss when they tag along for the trip. In reality, though, car rides can be very stressful for even the happiest dogs. Whether going on a cross-country road trip or just down the street, dogs often experience anxiety during a drive. This anxiety is caused by a number of things, including the movement of the car, the sound of the engine, or the possibility of a trip to the vet’s (eek!). If you aren’t careful, you’ll land up with a jittery pup and maybe even a ruined backseat. The following post from The Zebra gives a collection of tips and tricks for keeping you, your dog, and your car happy on your next road trip. These tips give advice on what to do before, during, and after your car ride to keep your pup calm and your car clean. With more dog owners than ever in the US, 77% of people surveyed said their pets will influence their holiday travel plans. For many, that means pooch comes along too, and why not? What could be more fun than living in the countryside for a week or so with your canine best friend for company? The walking routes will be just a step away and it will give you a chance to detach from all the hustle and bustle of modern life and fully relax. However, there’s just a few things to take into consideration to ensure your holiday is problem free and great fun. 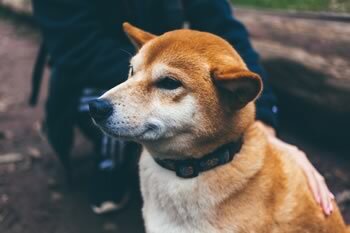 If you see your dog biting his paws, scratching or obsessively licking, he could have a food allergy – a condition which can take its toll on his digestive system as much as his skin. The very first step to take if you suspect your dog might be allergic to food is to visit your vet. Although dogs only show signs of irritation initially, allergies can cause serious problems and can even be life-threatening. In this post, we discuss the nature of food allergies and offer suggestions to stop them quickly and efficiently. Your dog will still be able to enjoy all his favorite treats, so long as these are allergen-free. Like human beings, a plethora of foods can cause dog allergies, though ‘the usual suspects’ are chicken, pork, rabbit, lamb, beef, egg, corn, wheat, soy, and dairy foods. Interestingly, most of these foods are proteins. Your dog could be allergic to one or more ingredient. In case you wonder how your dog develops a food allergy, the process is as follows: in a healthy dog, any food consumed will be broken down into nutrients and amino acids that pass from the GI tract to the bloodstream. In dogs with leaky gut, however, nutrients which have not been fully broken down make their way into the bloodstream, thus wreaking havoc on the immune system. Food allergies in dogs essentially arise from ‘leaky gut syndrome’,a condition that also affects humans. Your vet will usually prescribe a specific diet incorporating just one protein and one carbohydrate – for instance, chicken and rice. Your dog will remain on this simple diet for a couple of months and you can slowly start replacing ingredients, one by one, until you identify an allergen. Some vets recommend sticking to the first combination that works, but eventually your dog could develop an allergy to these two foods as well, so working your way up to a varied diet is a better long-term option. Dr. Karen Becker of Mercola Pets recommends using new proteins your dog has not consumed before when starting the elimination diet, including “ostrich, beaver, quail, pheasant, rabbit, venison, bison, goat, duck, elk, alligator, and kangaroo.” It is important to feed dogs food from different families than those they are accustomed to, to give the body a chance to detoxify. It is probably best to refrain feeding your dog foods they have been reactive to in the past, since you can undo the good work that the elimination diet has achieved. To battle common dog food allergies, it is important to create an elimination plan with your vet. You may be recommended a veterinary diet or home-cooked diet designed by a veterinary nutritionist. Remember to keep it basic and be watchful for signs and symptoms of a flare-up. Finally, patience and commitment are key to finding a combination that works for your pooch.